The table below is the financial summary of MEGB for the past 3 years. On 21st April 2011, MEGB share prices close at RM2.12. On 30th March 2011, MEGB declared 7.9 sen final dividend with an ex-date of 12th May 2011. At last trading price, the dividend yield for 2010 is 7%. 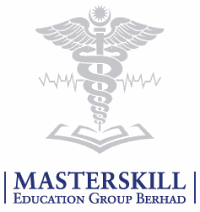 MEGB is a leading operator in Nursing and Allied Health education in Malaysia, principally engaged in the provision of higher education and training. Lower PE Ration when compare to peers. SEGi trading at 20 times while HELP trading at 12 times. Recession proof business with a good growth prospect. Approved to set up new campuses in Kuching and Seri Alam, Johor. Lately this counter is very hot. I missed the boat on this and hope will have a second chance. This counter is financailly sound but just do not know why it has been falling from sky high till now. yes, MEGB is a great counter… i had earned 30% in just 1 months time (recorded under my MEGB label/tag).